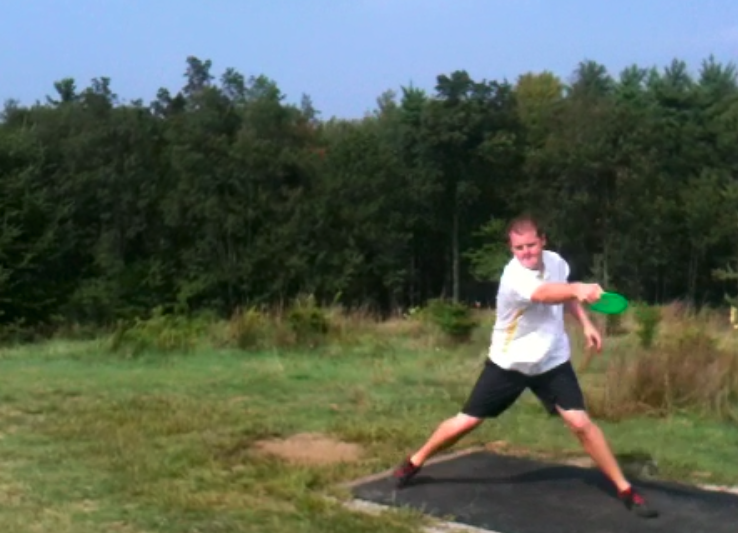 This is Nate Doss throwing a drive from a hill top. 2010 seemed like a two man battle. Even though E-Mac won worlds, and Shusterick won the USDGC- for the most part I recall a whole lot of Feldberg and Nikko. They ended up ranked #1 and #2 for the National Tour as well as world rankings at the end of the year. 2011 was nothing like that. I won’t bore you with the exact breakdown of the whole year, but it wasn’t easy to put in a box. Paul MacBeth won the first National Tour stop of the year, as well as the Beaver State Fling. Nikko won a pair of NT’s, and so did Nate Doss. If you divide up all the points, and look at the year- you see Nikko atop the NT points, with Nate Doss right at his heels. However, I don’t see the year as belonging to anyone except Nate Doss. Nate took down his third World Championship in 2011, and he won the last NT of the season at the Vibram Open- a tournament LITERALLY on the opposite side of the country from him (as he calls Santa Cruz his home turf). He then went on to defeat Locastro in the only top tier Match Play event of the year in Texas. It seemed like Doss always showed up down the stretch at the biggest events this year. It brings to mind the old competitive cliché: It’s not how you start, it’s how you finish. Which brings me to my next point: BOOM! I’M FINISHED! This entry was posted in Touring Pros and tagged 2011, disc, doss, golf, nate. Bookmark the permalink.